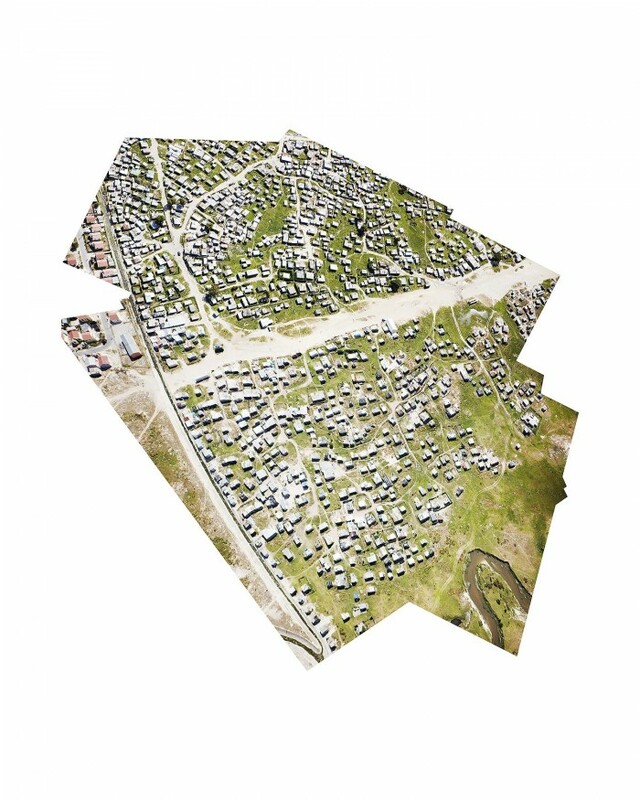 Hinterland is a continuation of Lyon’s journey to cast light on the realities of the urban edge. 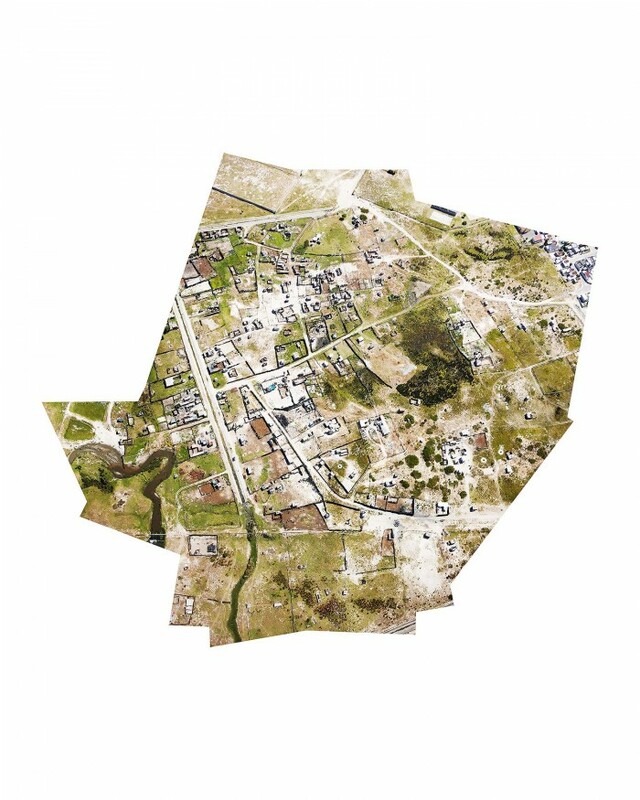 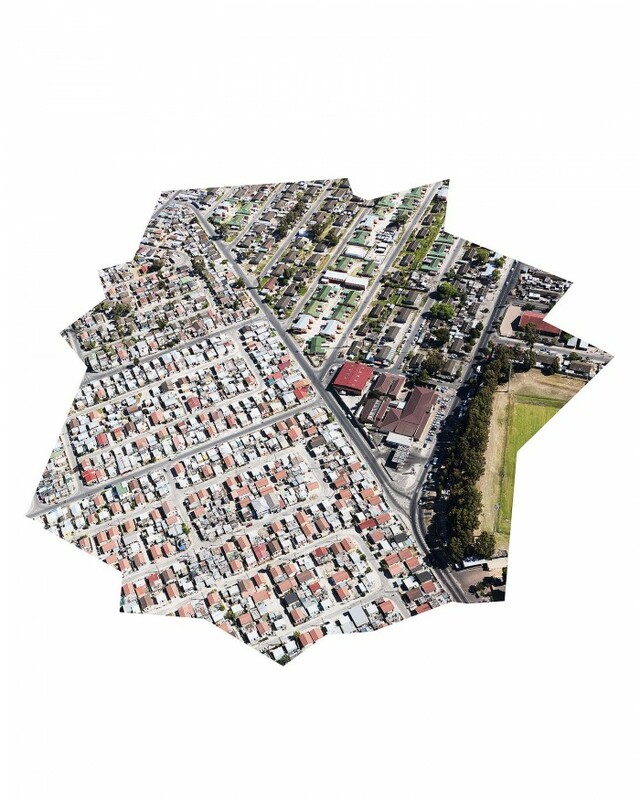 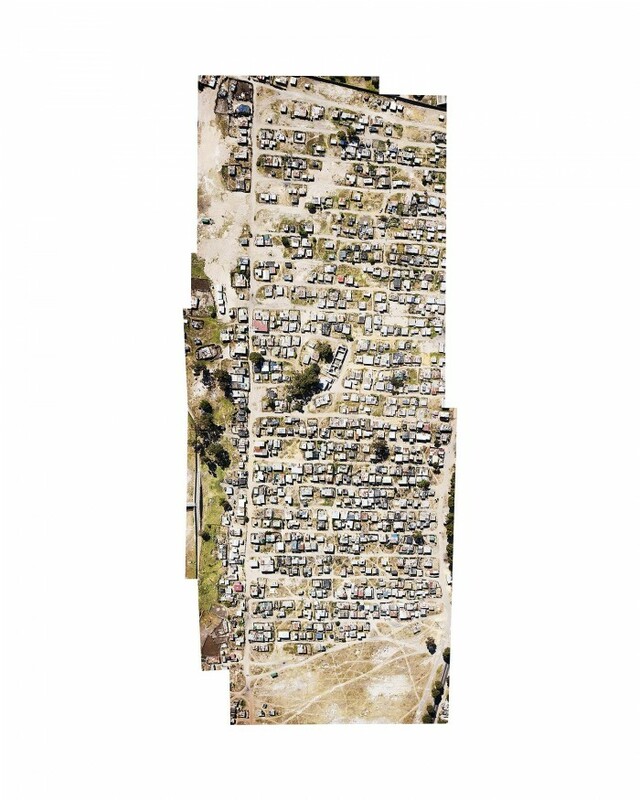 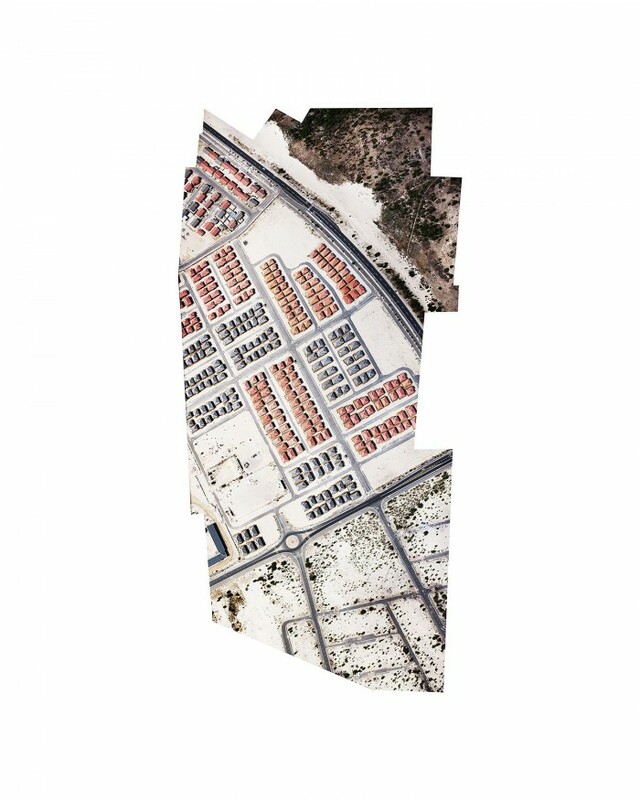 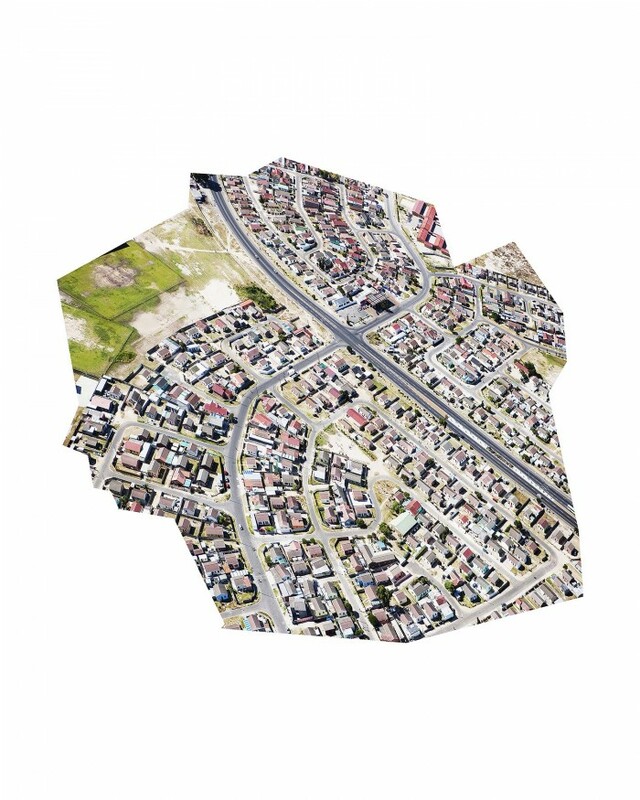 Built from original aerial images shot in South Africa, Hinterland plays on shape and edge looking to define the random nature of land development. 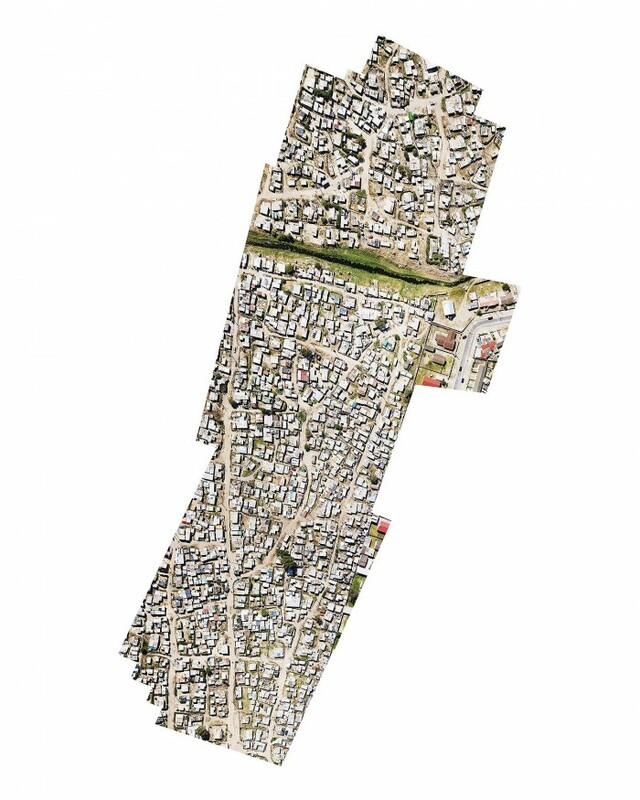 Lyon proposes that the urban edge is a defining space of transition and thereby the works question the key environmental themes of the early 21st century through dynamically created new landscapes. 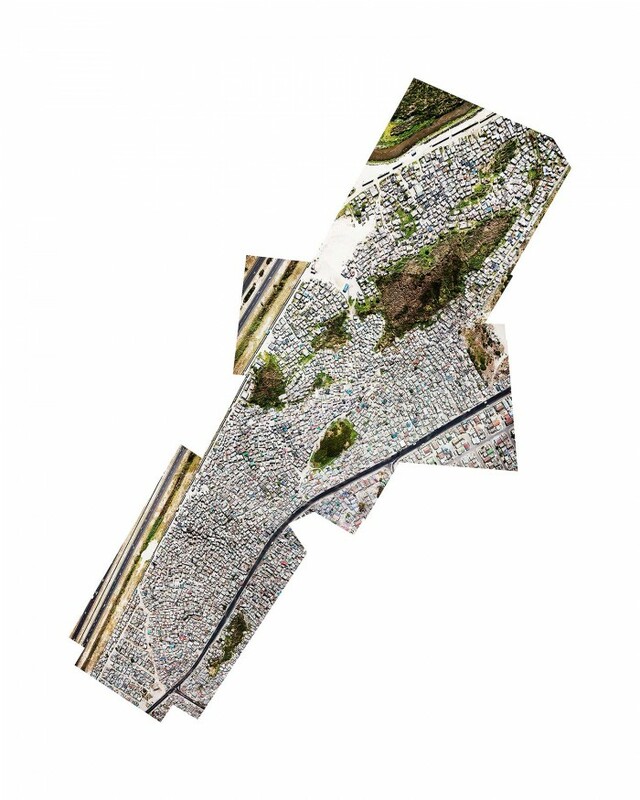 The series is best described as an exploration of the space where the stream becomes the concrete culvert. 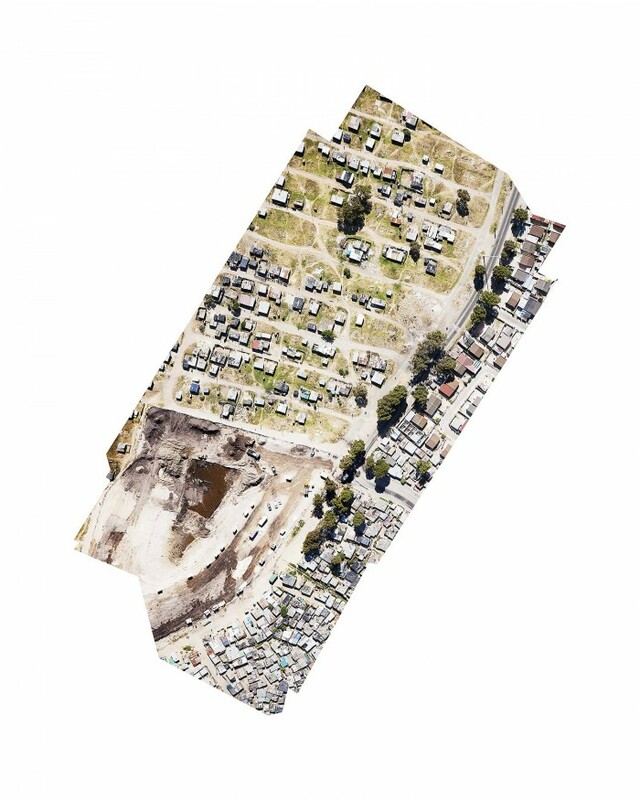 The first installment was created in the Cape Flats of South Africa, a vibrant yet desperate mix of swamp, sand, shack and low-cost, high-density temporary structures and housing. 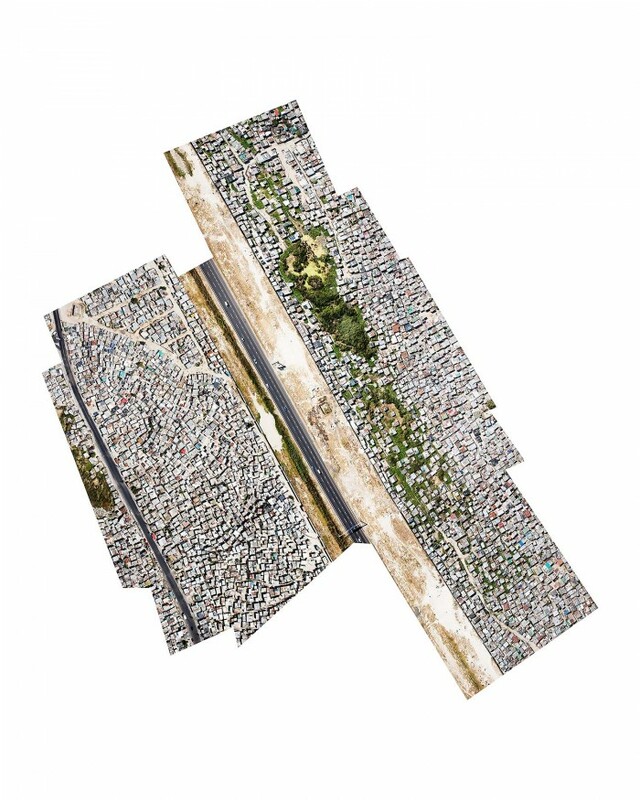 Each image in the series of twelve focuses on a particular environmental theme; migration, water use, energy, transportation and waste. 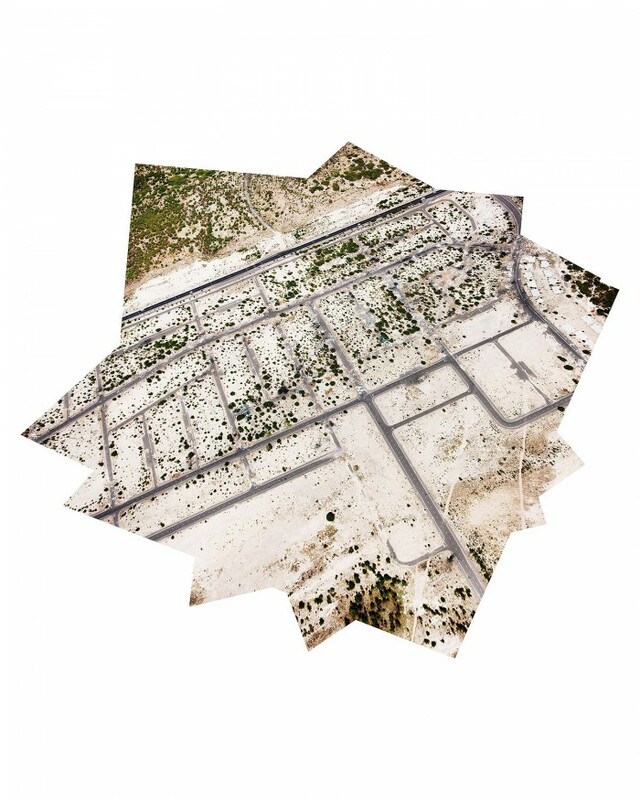 Lyon is currently working on the next installment, which is based on the edgelands of urban southern California. 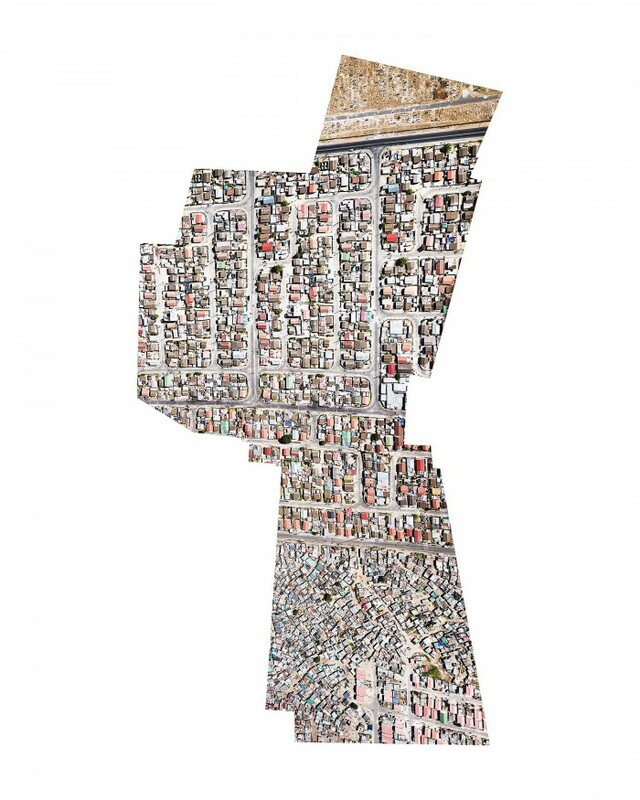 Each individual image is produced in a Limited Edition of 7 and the work is also produced in large-scale triptych format as an edition of 3 with 2 Artist’s Proofs.